You are viewing the archive for the ‘strawberry pear’ tag. 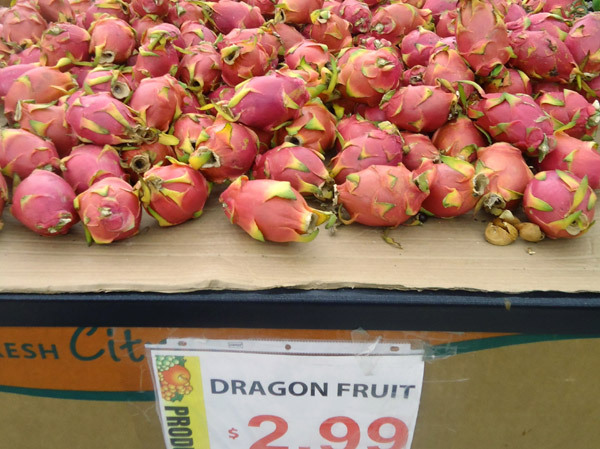 I don’t know much about “dragon fruit”. I was intrigued by it when I saw it in an Asian grocery store, H-mart, last weekend. I decided to buy it even though I had no idea how to eat a dragon fruit or which part of the fruit to eat. I was curious. Internet (and youtube) came to the rescue. 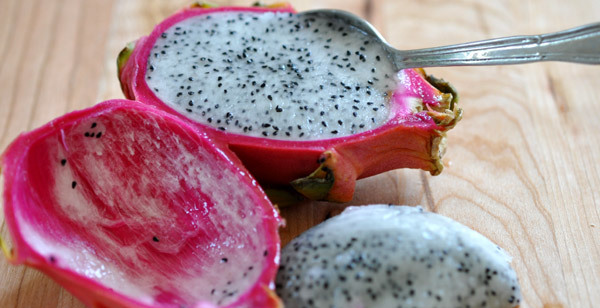 A quick research also told me that dragon fruit is also known as Hylocereus undatus, red pitaya, or strawberry pear. It’s popular in Southeast Asia (China, Thailand, Philippines, Vietnam, etc.) and believed to be native of Central America. 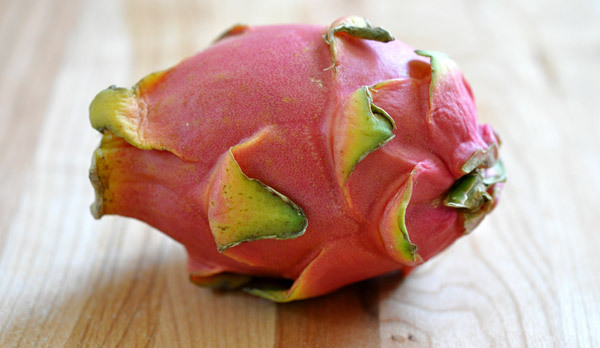 You eat the inner white flesh of a dragon fruit. 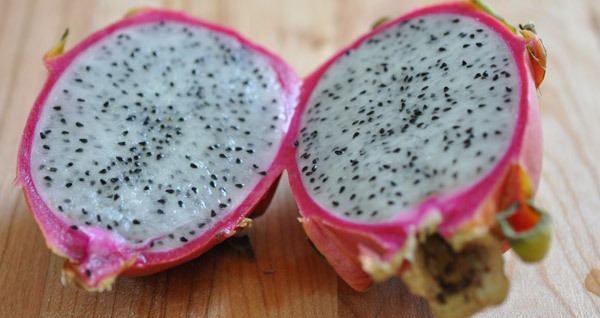 The taste and texture of a dragon fruit is similar to kiwi because both have similar texture and contain small edible seeds. 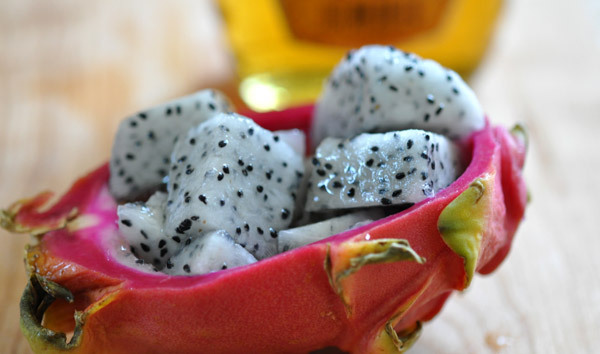 The flesh of a dragon fruit is uniformly distributed with black and crunchy seeds that give it nutty and somewhat oily flavor. Dragon fruit is, perhaps, one of the least sweet fruits that I ever tasted. No wonder that it has low calories and consumed widely by diabetic people. To eat dragon fruit, peel of the shell and eat its flesh. This is how I did. Cut the fruit straight down the middle longitudinally through stalk. Scoop out white flesh using a spoon. Cut into cubes. Optional serving suggestion; serve the cut dragon fruit cubes in a boat made from its shell. For those who have sweeter tooth, drizzle with honey.